Thrash time! With the Hot Rod Power Tour, just two weeks away we all have a long list of things to check, fix, and build before we go on the week-long trip. With an estimated 5,000 participants already registered there is a lot of work being done in a short time. We at JYL are no different. Our 1972 Oldsmobile Vista Cruiser is still in the shop with a bad transmission and the all-wheel-drive 1966 Impala is just now finishing upgrades. Our editor-in-chief, Jody Potter, seems to be the only one who thinks he’s ready to make the trip (editors note: Doubtful!). 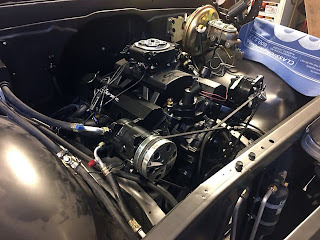 With so much still to do, we went to our friend Mike Ellison’s shop, Musclecar Outfitters, in Dodge City, Alabama for help to get our group ready. This is where the story gets good, at least for the reader. We walked in looking for help only to find the shop truck that is our back up parts and recovery rig still taken apart and sitting in the rear of the shop. 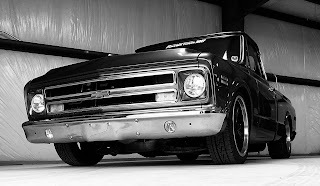 This truck, a 1968 C-10 assembled from parts of a half dozen 1967-1972 Chevy C10 trucks, has made the last 10 Power Tours. We had to ask, what happen to the truck? 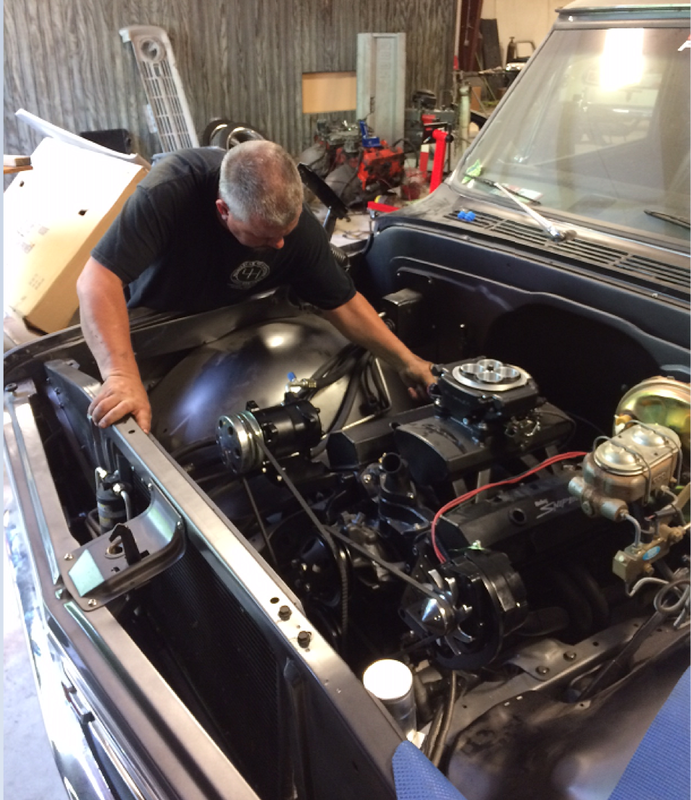 Mike Ellison working to get ready the 1968 C10 for the 2018 Hot Rod Power Tour. 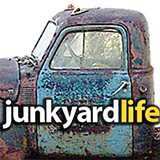 Junkyard Life: Mike, the truck was running great just a few months ago what happen to it ? 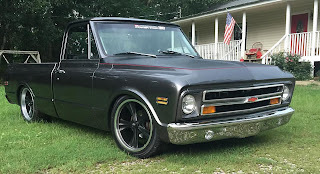 Musclecar Outfitters: We had some down time so we decided to upgrade the truck with a ton of new parts that had been sitting in the parts room for months. 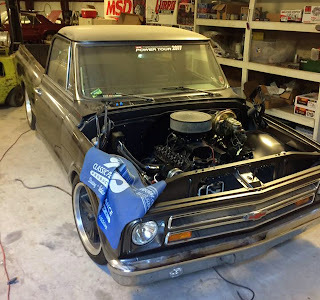 JYL: What upgrades are you making to the shop truck? MCO: We built a new motor with a Sniper fuel injection, new Sniper fuel system, new exhaust, rims, and full interior. The rest we just left the same. Holley Sniper fuel injection installed. JYL: Why wait until now to pull the truck in to the build bay? MCO: Customers come first. When the dates for the tour were announced we had a huge rush of customer’s cars to get ready before we could start back on the truck. Plus, with the added new projects the truck just got pushed back. JYL: We would love to help get the truck ready. It’s just not the same without the shop truck with us. MCO: We are currently working on the truck starting at 5 am until we open and then back to it whatever time we finish our customers cars at night. There is 6 weeks of work to put into the truck in just a few hours a day with only two build weeks left. 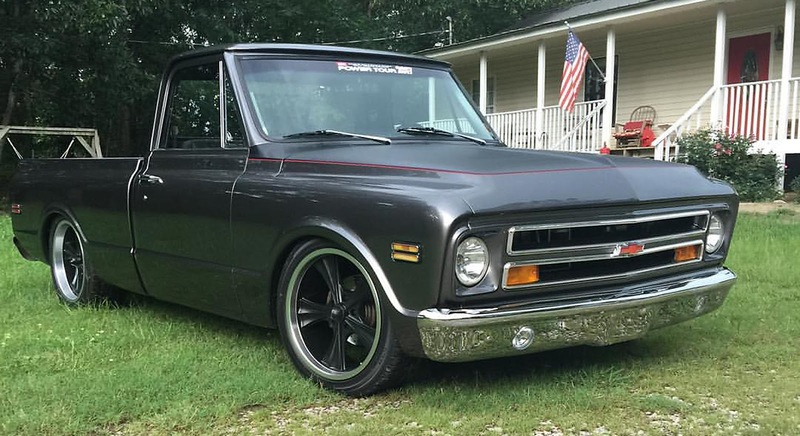 The truck hasn’t missed a Power Tour in 10 years and it will make this one also. Stay tuned to see how the truck makes the trip and what it took to finish it. This is one project Junkyard Life is ready to take on and help however Mike lets us. 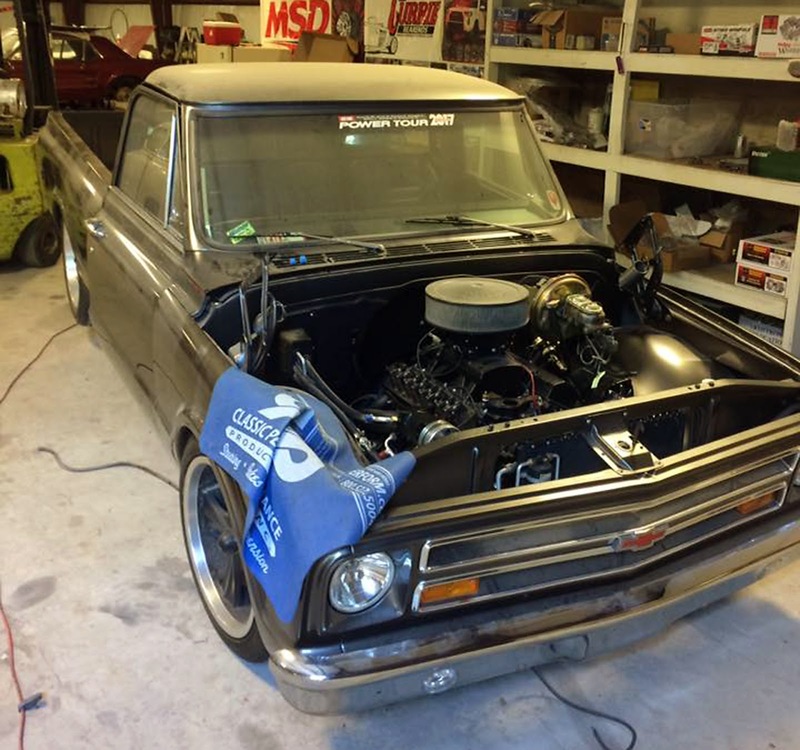 Ellison’s 1968 Chevy C-10 has seen several different looks and seems to be undergoing engine/parts swaps all the time.